Next week’s Art of the Networked Practice Online Symposium (March 29-31) is an international gathering presenting emerging research, artistic work, and technological innovation in the networked arts. Intended as a global and inclusive gathering, with no registration fees, the symposium unites local and remote speakers and audiences in the third space – from all corners of the world via Webconferencing – bridging Singapore with an active international new media arts community that transcends geographic and cultural distances. The Symposium is intended to demonstrate how networked space can be used to activate live performance and online artistic work, stimulate creative dialogue, and encourage open sharing of knowledge through an online global exchange. Please continue reading for detailed instructions for setting up Adobe Connect Webconferencing as well as preparing for your participation in a socially networked third space dialogue at the Art of the Networked Practice Online Symposium. Take the Adobe Connect Connection Test, this diagnostic will ensure your computer and network connections are properly configured. Download and install the Adobe Connect application when prompted. The Adobe Connect application should then launch and you will be in the Symposium meeting room. If for some reason you are having any issues, repeat the above procedure. 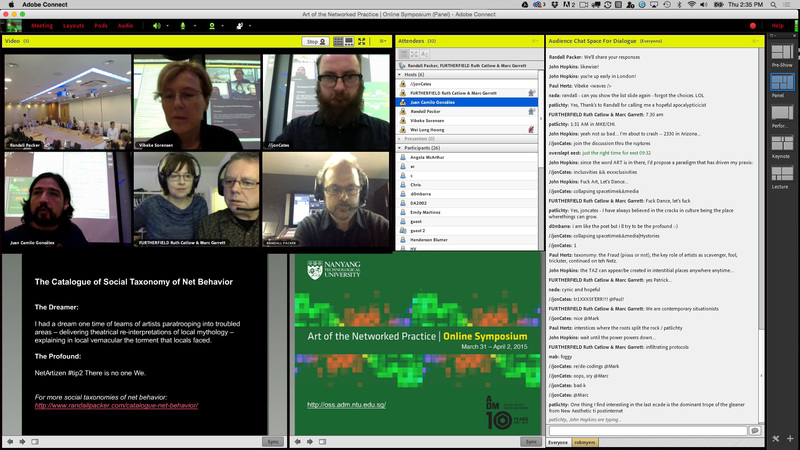 In the screenshot above, taken during the 2015 Art of the Networked Practice Online Symposium, the participants that made up the third space conversation were situated in a multiplicity of local and remote spaces: the conference center in Singapore (local), panelists in the UK (remote), and the online chat, where cross-dialogue and multi-threaded banter shifted and collided back and forth from more than 40 countries around the world. Our third space networked environment is conceived as an open space, a broadcast space, an active space, where creative dialogue interacts between the chat space and the local venues. While we will have online moderators instigating and activating the conversation through their questions and commentary, we encourage all of our online attendees to freely use the space for sharing comments, ideas, links, and other observations relevant to the keynotes, performances, and discussion. 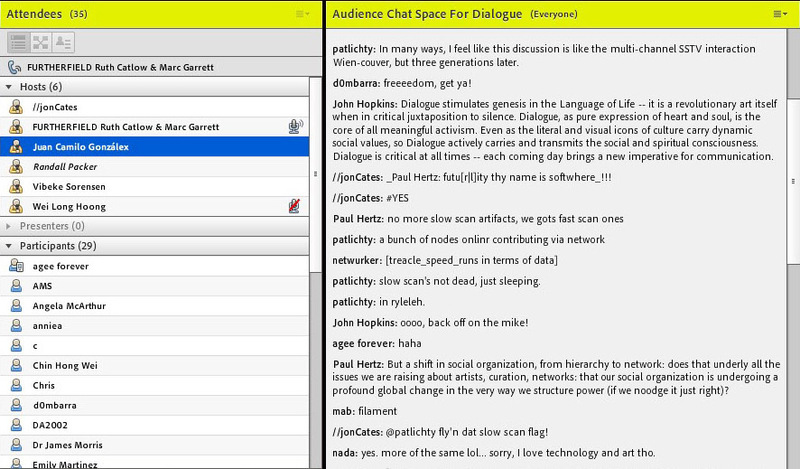 Unlike physical space events, the simultaneity of chat is not disruptive in the third space, rather it is informative, often playful, and always complementary to what is taking place in the Adobe Connect meeting room. Across the distances, online conversation overcomes the limitations of space, time, the local and the remote. This is the aspiration of the Art of the Networked Practice Online Symposium: how to bring people together in creative dialogue via the network driven by purpose, activated by play, and informed by issues that percolate up from the need to understand and grasp the networked culture we immerse ourselves in each and every day. 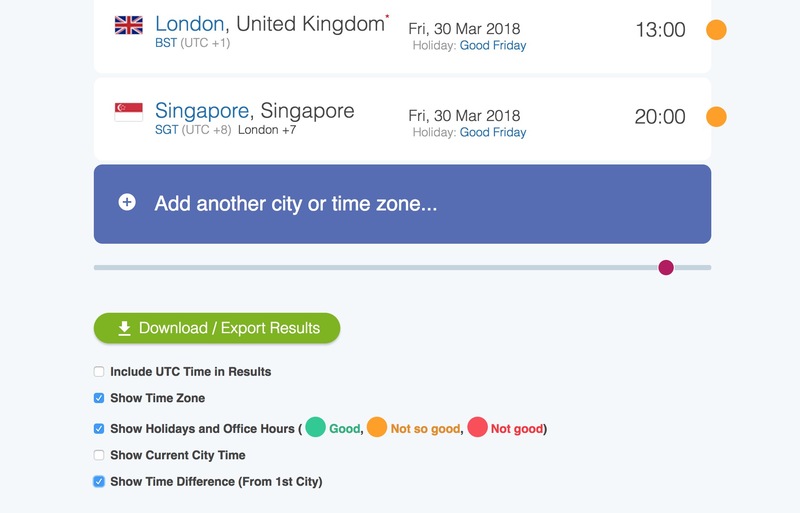 As an alternative to the asynchronous communications culture of texting and social media and e-mail, for a few golden hours, we revel in the live experience of real-time global conversation. Based on topics that include: “being and connectedness in telematic space,” or “networking the real and the virtual,” or “intimate glitches across internet errors,” I foresee a hyper-dialogue, or as the American scientist Vannevar Bush described some 60 years ago, a “trail of associations” that move non-linearily through the collective imagination. So in fact, our globally broadcasted third space dialogue – spirited by a desire to socially engage the issues of our networked practice – is just such an opportunity: let us think and create and interact with one another in the far flung dialogic possibilities of the social broadcast. Visit the Symposium Website for more information and to register online.